Skatter Tech has gotten into Nintendo’s Press Conference and we are just a few feet away from the stage. This is personally a childhood dream of mine to be this close to the great minds of Nintendo and see the innovative games to come. Just a heads up, the reason this is a “semi-live” blogging is due to the fickle wifi in the Nokia Theater. Let’s see what comes next as Nintendo of America’s Reggie takes the stage! 9:10AM – Give me a second I’m kind of running behind here due to Nintendo blowing my mind. 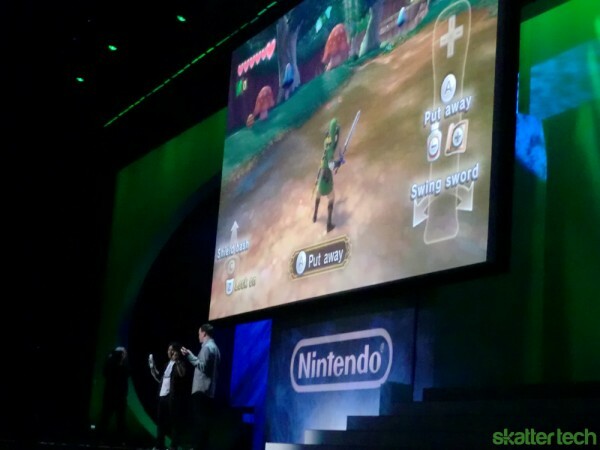 The crowd just went crazy because, as Reggie knew, the thing on everyone’s mind is the brand new Legend of Zelda: Skyward Sword. 9:12AM – Link looks as cool as ever and Nintendo gives the player full control over the hero’s movement. 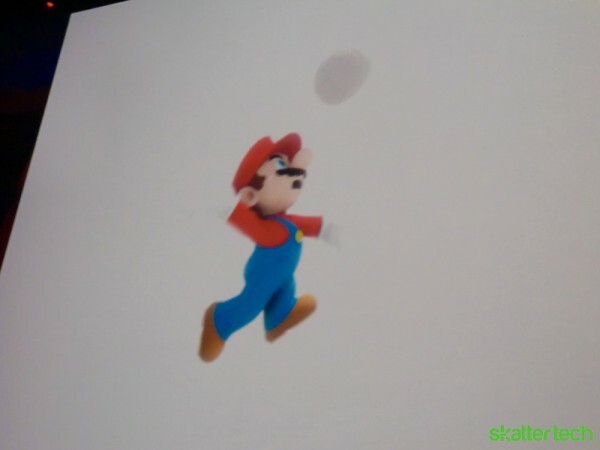 Miyamoto makes a surprise appearance to show the crowd how it’s done. This time around, the next Zelda game appears to mix the cell-graphics of the Windwaker series with the grainy/earthy touch of Twilight Princess. 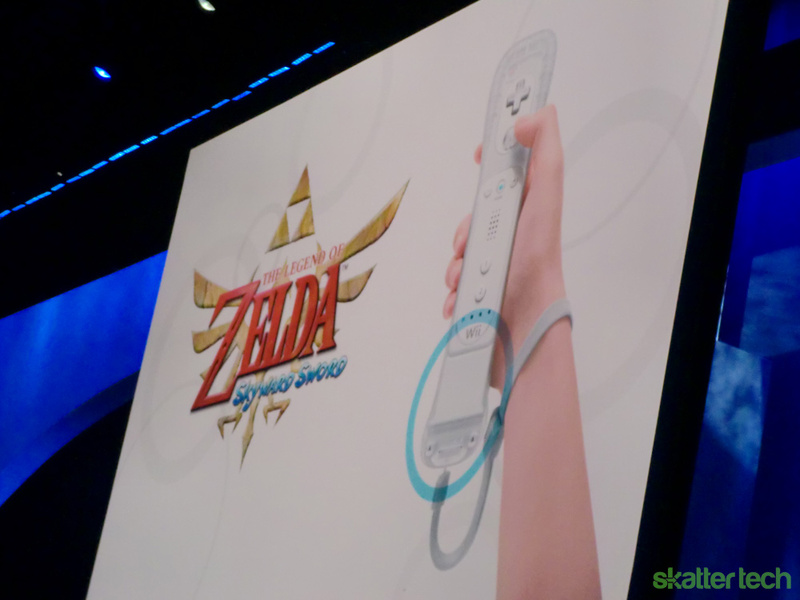 9:14AM – The Wii seems to be responsive enough to the game, which is a good thing because the player literally has to hold the nunchuck and wiimote just like Link holds his shield and sword. We’re getting a sneak preview of some weapons, which also use full control of the controllers. 9:18AM – The audience is beginning to get nervous as Miyamoto struggles to control Link in a responsive and precise manner, which Nintendo assures is simply due to all the medias’ wireless interference. 9:20AM – Besides some technical difficulty, Miyamoto promises the player’s adventure in Hyrule will be precise and the controls will be seamless. I definitely hope so because Link’s whip looks awesome. 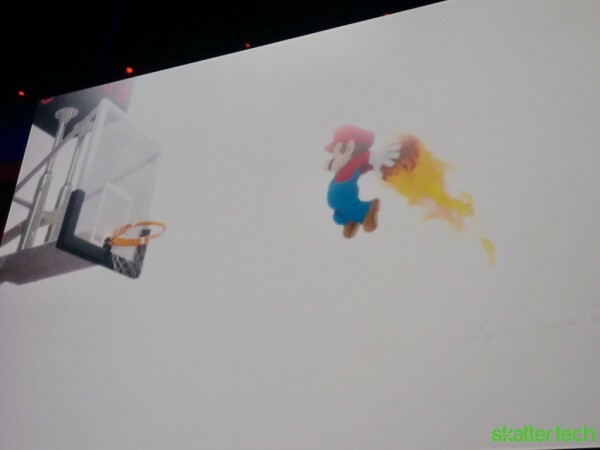 9:24AM – Reggie is back on stage to announce the newest Mario sports title, Mario Volleyball. Nintendo seems to be scraping the bottom of the bucket for a Mario sports title. 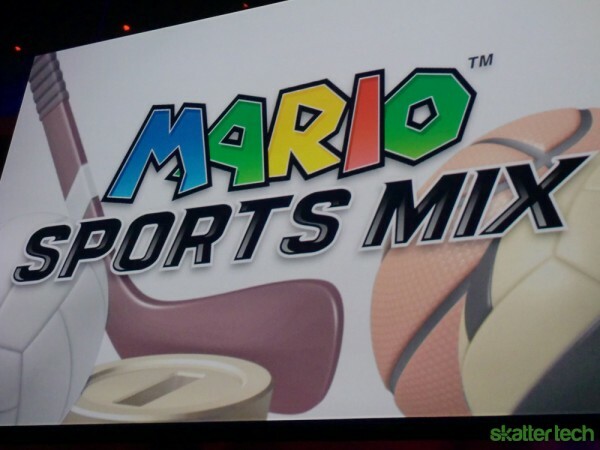 Correction: Mario Sports Mix. The image hinted at hockey and more. 9:26AM – The new Legend of Zelda and Mario Sports Mix will be released next year. 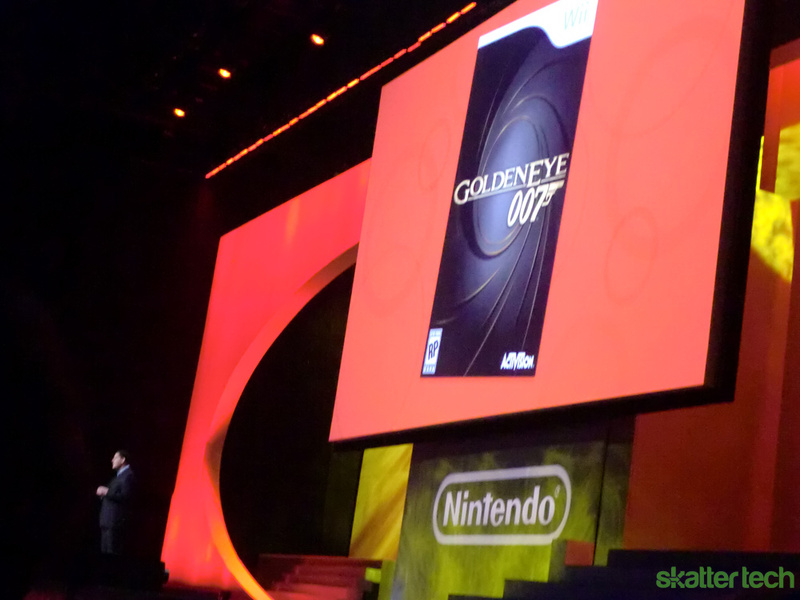 9:30AM – Reggie is now defending Nintendo against the claim that it is simply a console that amuses then collects dust. He’s reminding us that the Wii has broken sales records that have never even been touched before. 9:31AM – New titles announced include WiiParty, which contains several different party-games that Miis everywhere can take part in. 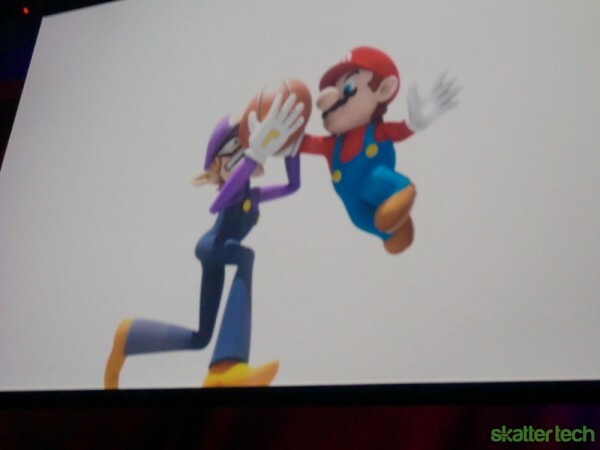 It’s supposedly going to continue Nintendo’s legacy of bringing the family together. 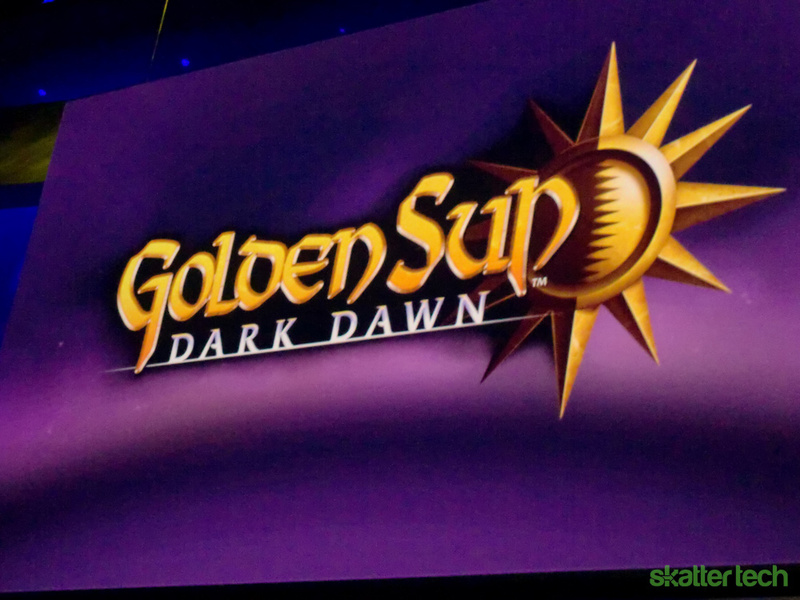 Also, Golden Sun: Dark Sun had a new trailer released. 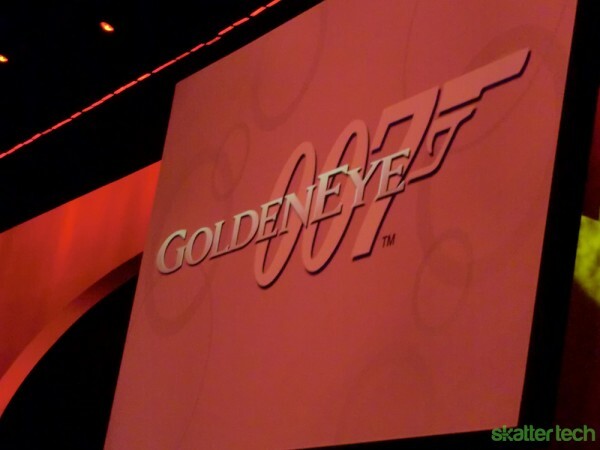 9:35AM – Big, big news: Golden Eye finally gets a sequel! Nintendo keeps pride in having Golden Eye 64 be the “best shooter of all time” and now it’s time to bring a brand new Wii title promising to continue the legacy. Coming out this year! 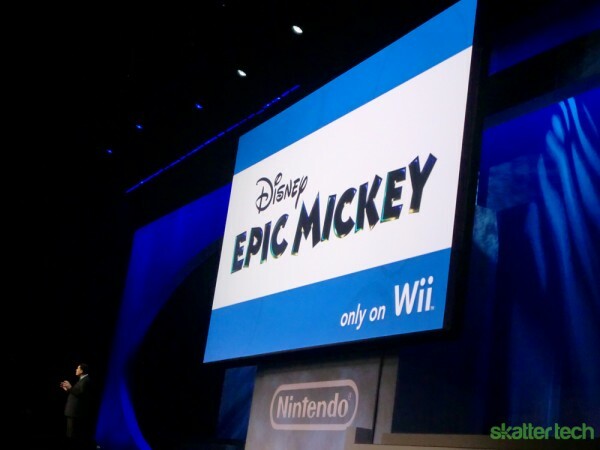 9:39AM – Epic Disney has now taken over to give a preview of gameplay for Epic Mickey. Mickey Mouse steps into a gloomy world referred to as Wasteland, encountering other “forgotten” Disney characters. The goal behind this game Is going to be the player’s influence on the game’s universe and how the story will unfold reflecting those choices. 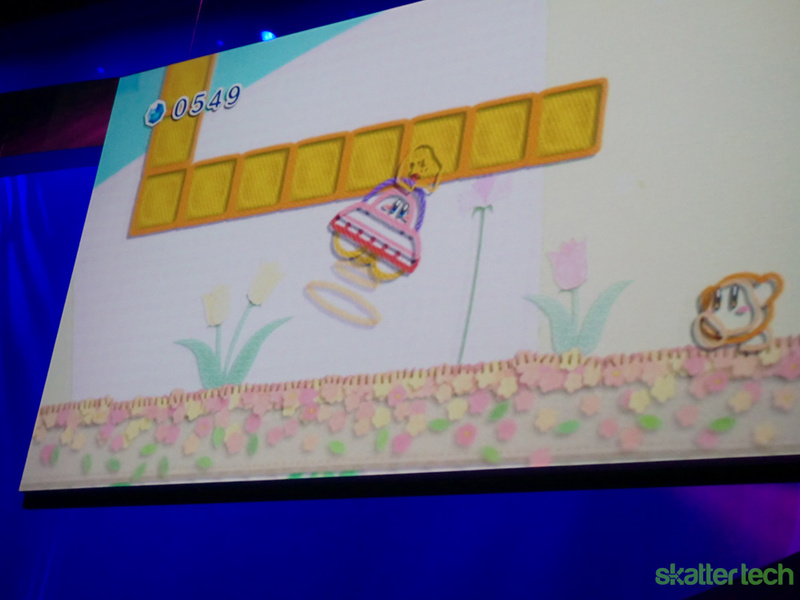 9:44AM – Reggie is hinting towards a new home-console Kirby title! 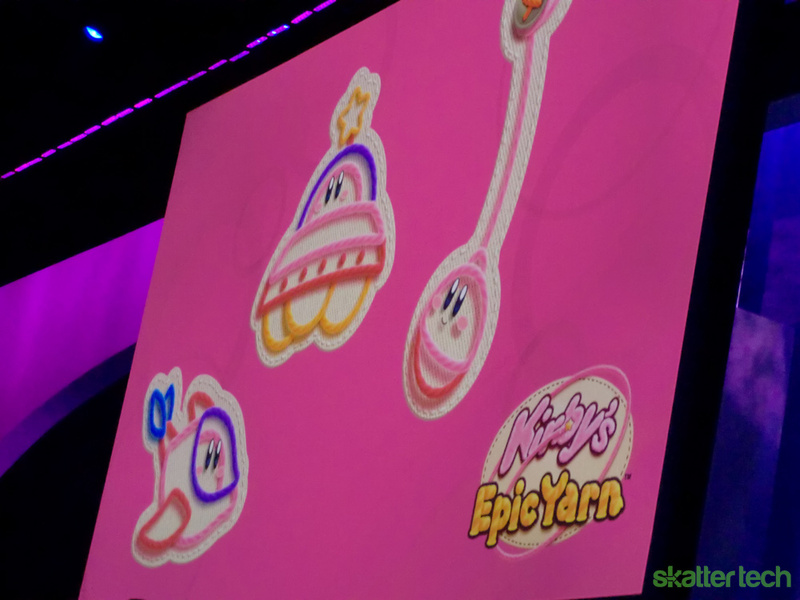 Kirby’s Epic-Yarn is being revealed right now! 9:46AM – This time around, Kirby and the world around him are made out of yarn. It proves to be an artistic adaptation of the Kirby universe and allows for a new intuitive gameplay mechanism. Kirby uses himself as a whip this time around and has the ability to transform into different weapons/vehicles. The trailer hinted at multiplayer although details were not clear. 9:48AM – Kirby’s Epic Yarn is confirmed for a Fall 2010 release. 9:49AM – Dragon Quest IX: Sentinels of Starry Skies will hit NA in July with an unbelievable depth of multiplayer options. Dragon Quest IX will include updates for new levels, maps, and missions all with other players. One Nintendo producer has logged in 140+ hours and still is no t close to finished. 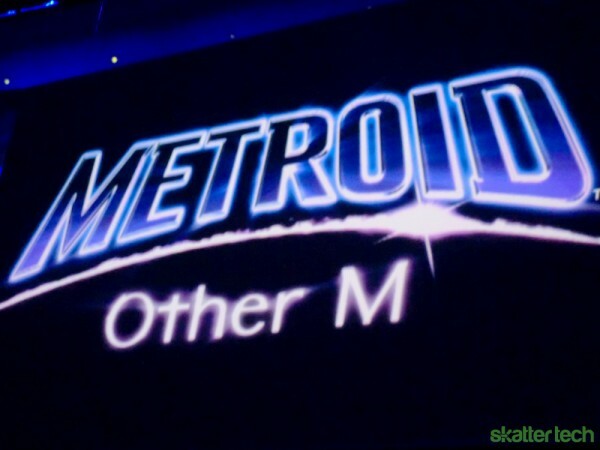 9:52AM – A new trailer for Metroid Other M has been shown with a lot of new gameplay. 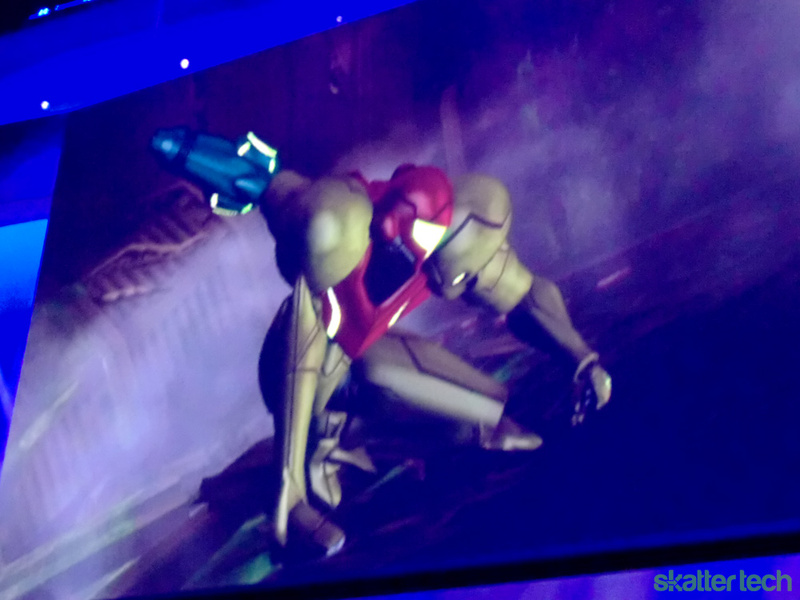 The mechanics seem reminiscent of classic Super Metroid games along with influence by the Prime Series. Team Ninja hopes to make this an title to be remembered. Coming August 31st. 9:53AM – It’s been confirmed! 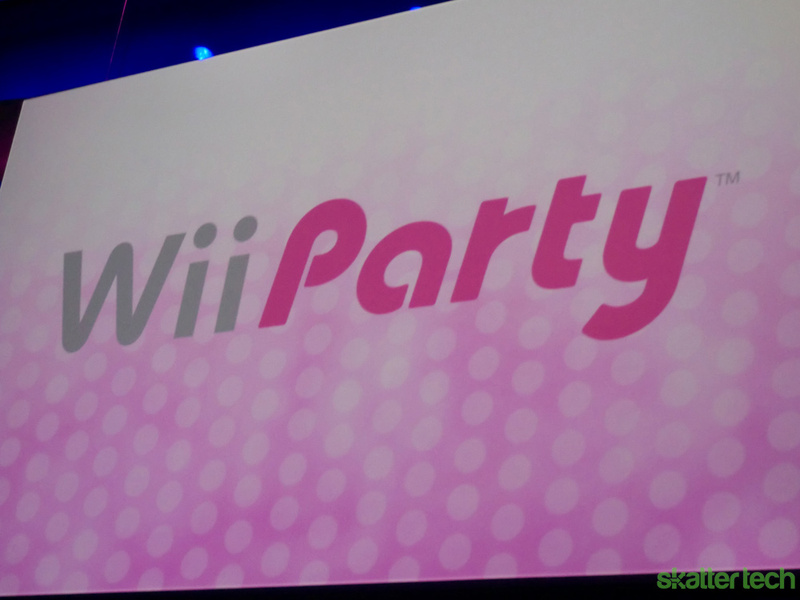 A brand new Donkey Kong Wii title is coming! The trailer looks stunnig and the gameplay with Diddy Kong and Donkey Kong is bringing the DK Country series back alive! Donkey Kong Country Returns comes to stores this holiday. 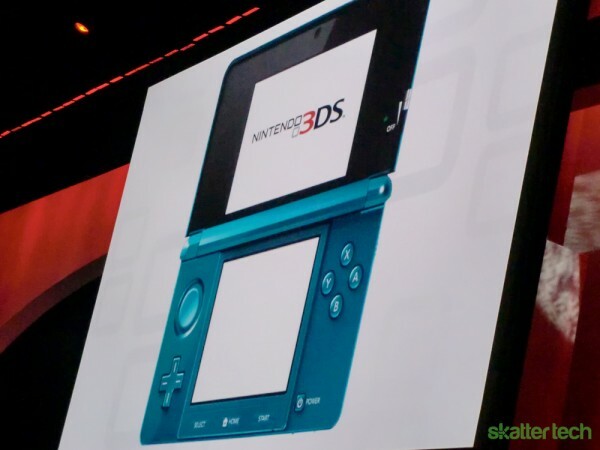 9:56AM – Nintendo 3DS has been confirmed. 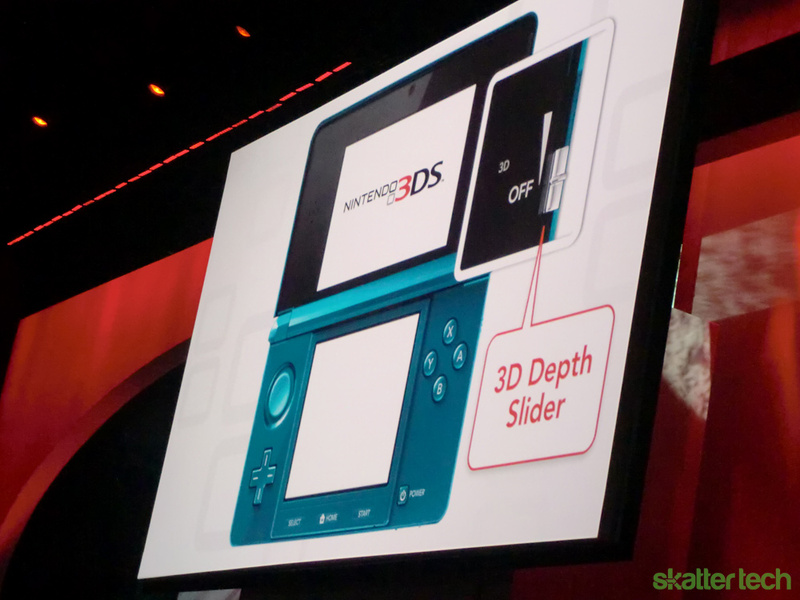 Reggie is talking about the difficulty with 3D gaming: including the overwhelming cost and those annoying 3D glasses. Nintendo offers a better way! 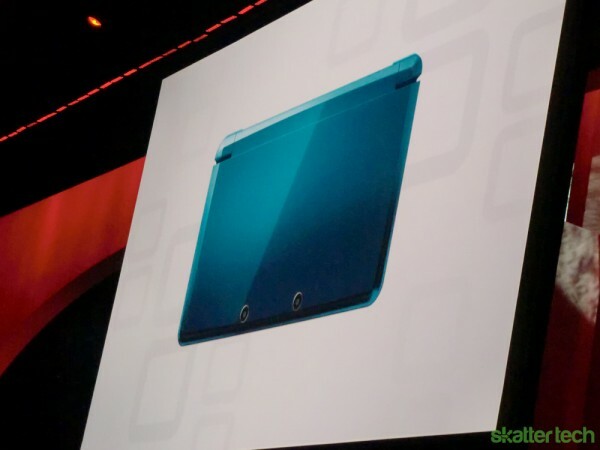 9:59AM – The Nintendo 3DS is on stage right now and it looks beautiful! The buttons above the d-pad have now been replaced with a flat joy-stick looking thing. 10:00AM – Nintendo has made a very smart move by adding a “3D Shift Slider” feature to the 3DS, which will allow users to change just how 3D their gameplay will appear, and even the option to turn it off altogether. Looks like we don’t have to make ourselves sick all the time. 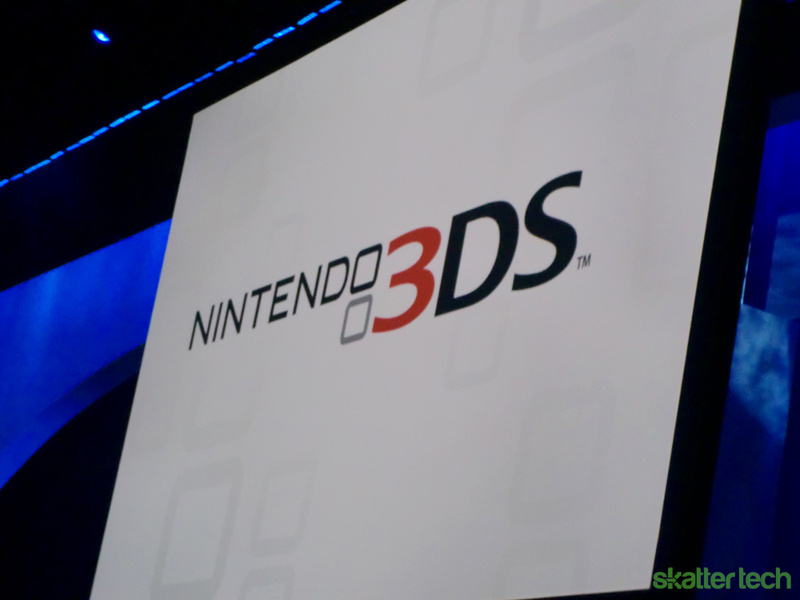 10:01AM – The Nintendo 3DS will have full capabilities with the DSi since it has two cameras as well. The joystick I mentioned is going to be called a shift stick for analog control. 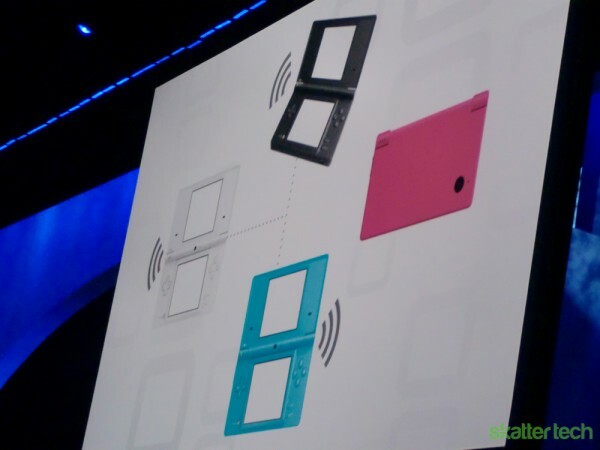 The device also includes motion control. 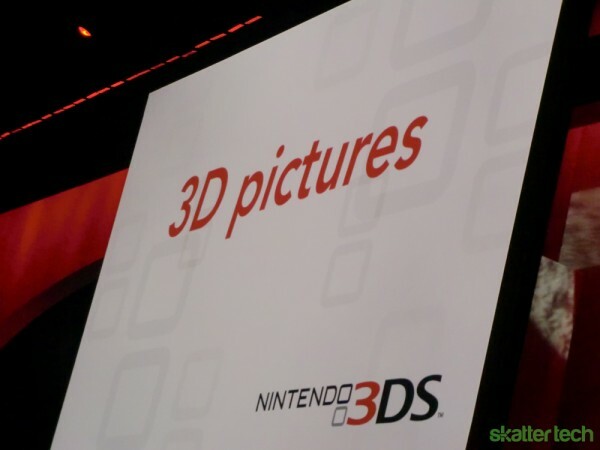 10:02AM – The 3DS can take 3D pictures and will even support media for 3D movies. 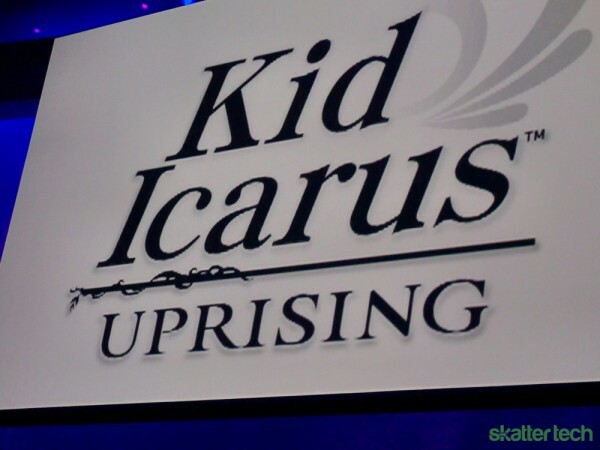 10:05AM – Kid Icarus: Uprising is a brand new title featuring Pit under Project Sora. This is a reimagining that is a long time coming and will be best utilized on the 3DS. Hold on, the trailer for Kid Icaras looked so good I just assumed it was the Wii, but it was in fact gameplay on the 3DS, confirming rumors of an excellent graphics engine. 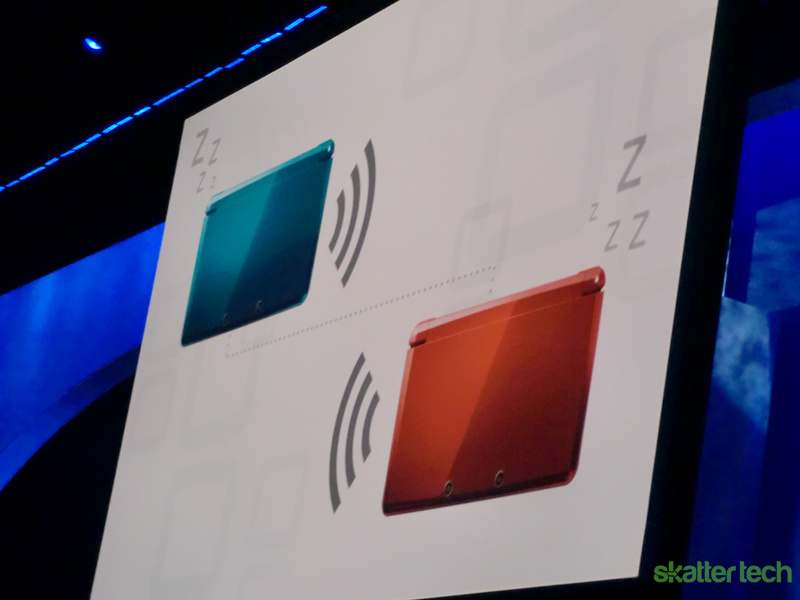 10:09AM – The 3DS will passively update all software and conveniently locate other 3DSs in order to make the wireless/wifi experience as smooth of a process as possible. All of this is free of charge. 10:11AM – Now this is huge: Nintendo has confirmed 3rd party projects including but not limited to: Metal Gear Solid franchise, Saint’s Row, Kingdom Hearts 3D, Batman 3D, Resident Evil, Assassins Creed, and even Super Street Fighter IV 3D!